Great Ocean Road fire: Devastation on Christmas Day as homes lost in Wye River, Separation Creek. A Christmas Day bushfire has destroyed dozens of homes along the Great Ocean Road on Victoria’s south-west coast, and is still burning out of control. The Country Fire Authority (CFA) confirmed 35 homes had been lost in Wye River, and 18 at Separation Creek on Friday. Hundreds of firefighters and dozens of tankers and aircraft have been battling the blaze, which started last weekend but flared up in hot, blustery conditions. The fire, which has so far burned more than 2,000 hectares, is not yet under control. An emergency warning is still in place for Wye River, Separation Creek, Kennett River and Grey River. A watch and act alert has also been issued for Wongarra. A recommendation to evacuate Lorne, Allendale and Cumberland River remained in place overnight and relief centres are open at Apollo Bay and Torquay. Victoria Police officers visited homes in Lorne overnight, urging residents to evacuate the town. Surf Coast Shire CEO Keith Bailey said almost 100 people sought refuge at Torquay on Friday and 31 spent the night. Community meetings will be held at Torquay at 10am and Apollo Bay at 2pm. A cool change on Friday evening brought a difficult wind change for fire crews, but also some cooling rain. It was still falling over the Otways in the early hours of this morning and the Bureau of Meteorology is expecting up to 30 millimetres on the fire ground. State response controller Peter Rau said more homes could have been lost. “This fire is pretty significant in size. We’ve had a lot of firefighters on it,” he said. “It’s been very traumatic for a number of people. To lose a property at any time is traumatic, but on Christmas Day is something these people will remember forever, unfortunately. “Our hearts go out to those who have lost properties. Mr Rau said the efforts had been helped by overnight rain, but the difficult terrain had made it hard. “The fire was being pushed down by northerly wind, and then it swung round to a south-westerly, so what that meant was it got very close to Kennett River and there would have been some embers into Kennett River, but it got pulled up short of that with the firefighters and also the help of the cool change. 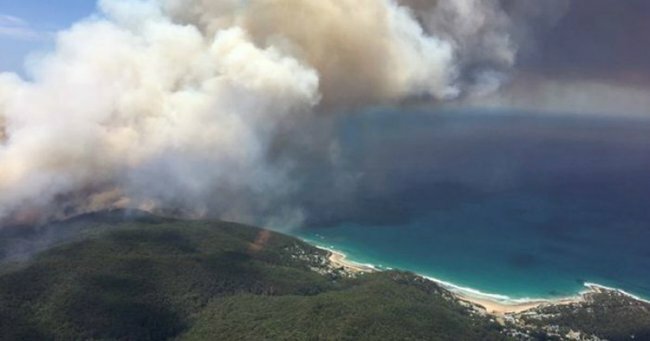 “It moved it back towards Lorne and unfortunately Wye River, which had been impacted already, then had this fire coming back towards it. “It’s very, very hilly and heavily treed. It’s a difficult to get into and really difficult terrain for firefighters to operate out of. The CFA said there was reduced fire danger in the coming days but it would build back up closer to New Year’s Eve. Today marks the start of the annual pilgrimage to the popular tourist region, as thousands of holidaymakers head to the surf coast for the New Year period. But authorities have asked people to avoid travelling along the Great Ocean Road this weekend if possible. Organisers of the Falls Music and Arts Festival, which is held just outside of Lorne from December 28 to January 1, said it was unclear if the event would go ahead. The road between Torquay and Lorne had been closed on Friday but will reopen today. It will stay closed between Lorne and Skenes Creek. 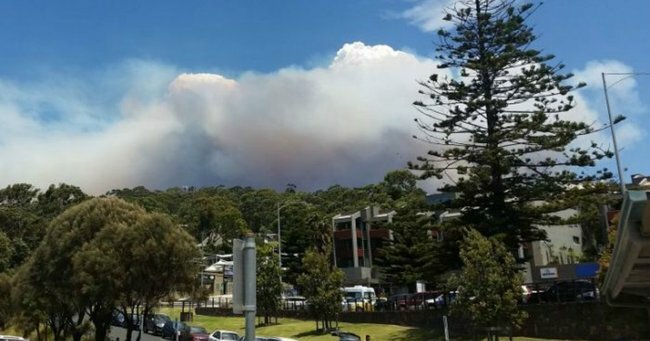 The CFA said those wishing to get to towns like Anglesea, Aireys Inlet and Lorne will be able to do so, while those trying to reach Apollo Bay and the 12 Apostles should travel inland via Colac.